I thought about Mundy a few days ago. He’s the main character in this spy novel by John le Carré. I was just doing some dishes and I wondered if Mundy would end up being lifelong friends with Sasha. It was like I knew Mundy. He just popped into my head like any real live person I’m acquainted with. It was weird. I’m weird. That struck me for some reason. 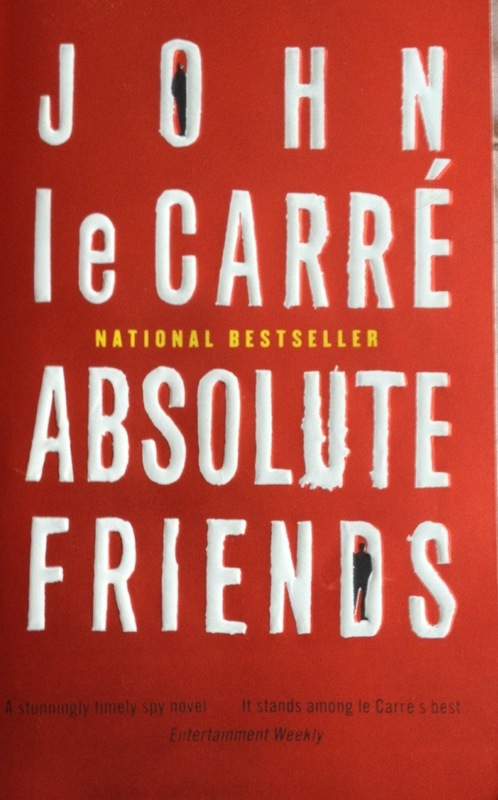 It’s a testament to how deep le Carré’s characters are. Depth, which at times, almost grinds le Carré books to a halt, for me at least. That didn’t happen here, I blasted through it. It’s a spy novel that spans 40 years and about 450 pages (early 1960s to early 2000s). I make note because it’s interesting how le Carré lays things out. There are actually less than 200 real-time pages; the first 30 pages introduce the main characters in real-time and the last 150 pages pick up the action after a few hundred pages of recollection. I usually don’t mesh well with books that are more recollection than real-time, but this worked for me. I’m not sure why. Oh, I know a solid yarn can be spun in less than 200 pages, but to pile on as much back story could bog things down. But the back story was continuous and eventually felt like “the story.” I settled in and loved it. The reader gets to know Mundy so well that when things get back to real time, it’s riveting.